Ever felt like you were going crazy when political issues get hot? I feel ya. 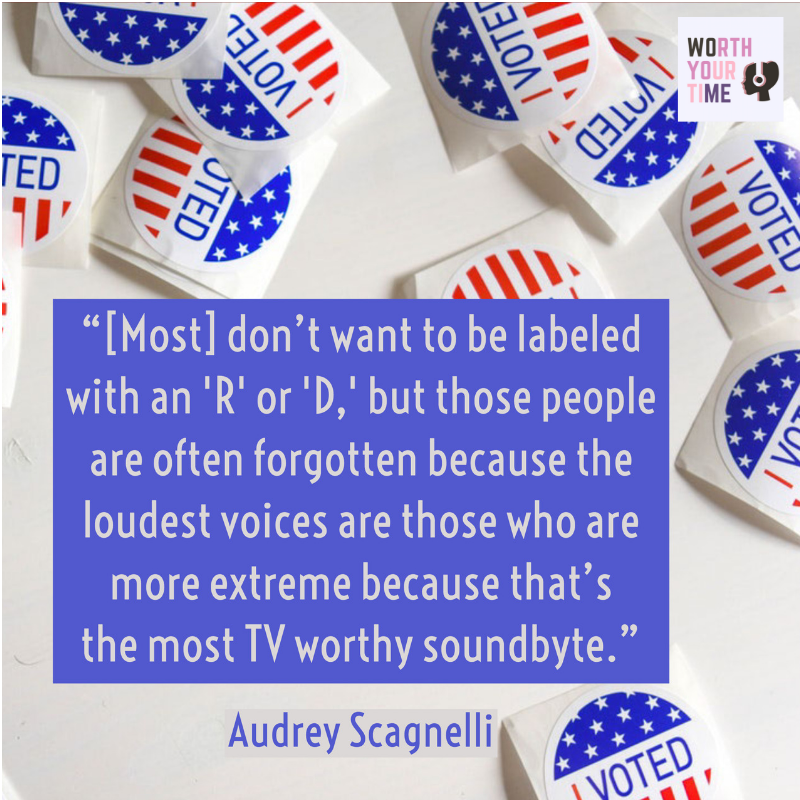 So does today’s podcast guest, Audrey Scagnelli. Bipartisanship and civility is kind of her middle name. She’s the founder of Sanity Media, a new online hangout for moderates, liberals, conservatives – and some non-politicals, too. Her group is united by a common belief in the importance of listening to each other, and in the possibilities of pragmatism and collaboration. It’s possible — and Audrey has found a ton of folks who are on board with the idea of conversation, moderation, respect and civility. She’s partnered with and interviewed a co-founder of MoveOn.org, representatives from the Bipartisan Policy Center and many who have embraced the idea of bipartisan dinner parties in order to strike up relationships with those across the aisle. It’s our shared humanity that has been lost in the online bickering and Audrey aims to bring us all back together. We talk plenty of Trump in this episode and how 2016 did a number on everyone — from Left to Right. What we do with it is up to us! I hope you’ll listen in on our conversation and take a little civility with you when you leave.